Congratulations! Buying a real estate just got easier. 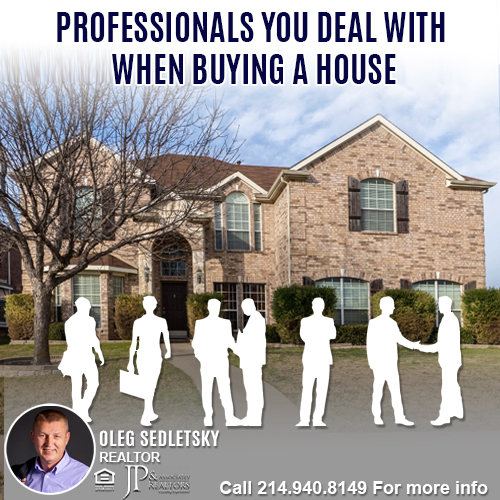 Hi, my name is Oleg Sedletsky, and I am a full-time Realtor licensed at the JP & Associates Realtors. 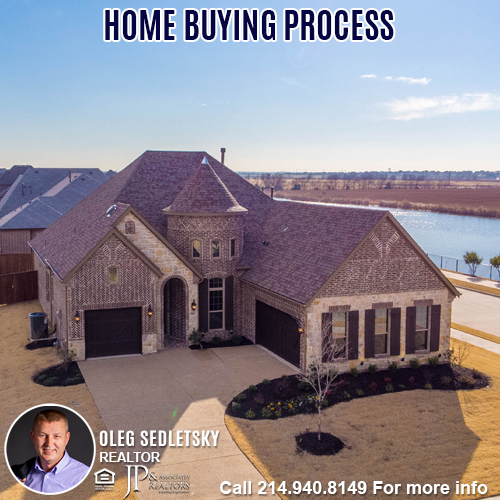 Whether a Home, Investment Property, Land/Lot, Commercial or Farm/Ranch in North Texas, I am committed to providing you with outstanding customer service. I will help you to achieve your real estate goal quickly while providing you with an enjoyable experience. 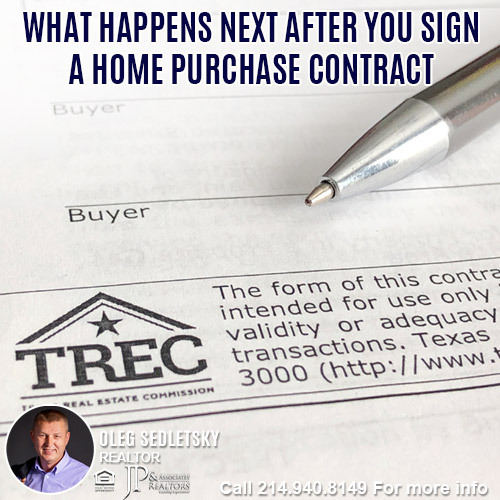 Contact me today to ensure a personalized real estate experience that will make the process of buying, comfortable, and satisfying. Whether it’s your first home or a move to a larger house, as a full-time Real Estate agent, I’m here to help. As you begin, many considerations go into choosing the right property in the perfect location. Here are questions to think about that will make your decision process easier. What are your most essential criteria when it comes to location? Consider things like schools, neighborhood amenities, shopping, acreage, etc.? What is your preferred condition of the home? Are you looking for a fixer-upper or something that is turnkey? How many bedrooms/bathrooms would you prefer? Do you want a pool on your property or will a community pool in the subdivision be suffice? How long are you planning to occupy the property? 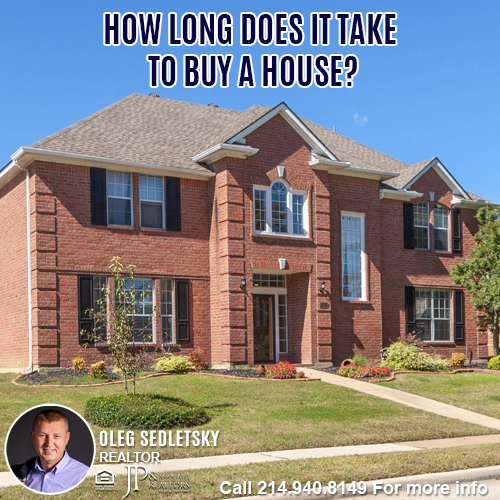 Do you have a specific move-in deadline? What is the loan amount that you are qualified for? 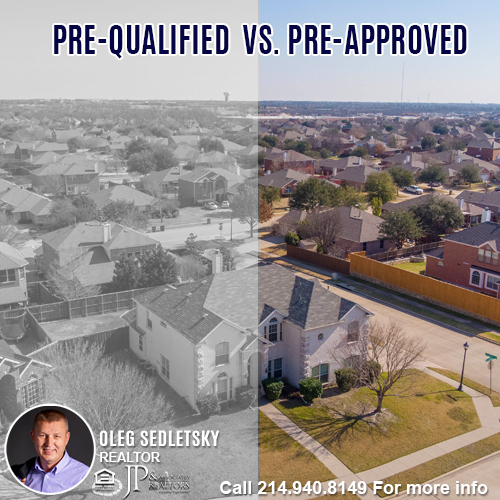 Can you be pre-approved for a loan? My goal is to help you find the right house that you can make into the perfect home. I am eager and excited to hear from and partner with you! Get the latest listings delivered to your inbox. 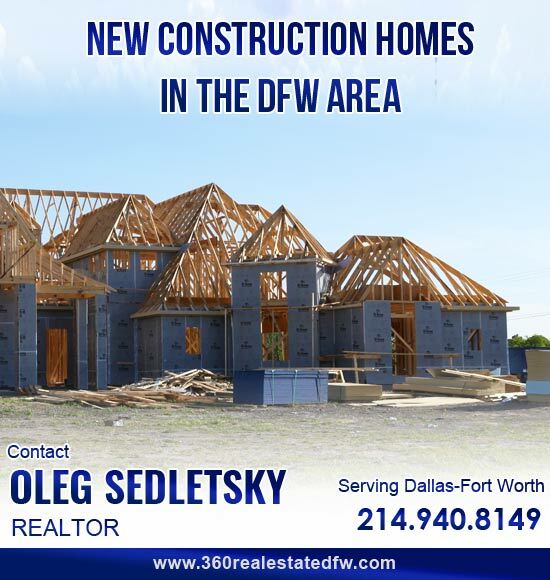 Looking to buy a New Construction Home in the Dallas-Fort Worth area? 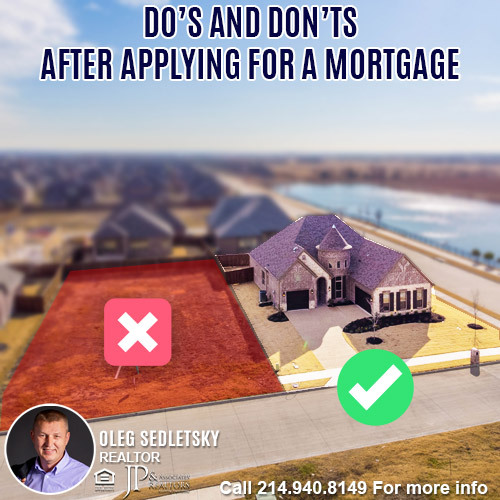 I will help you to locate your new construction home in Lucas TX, Prosper TX, Celina TX, Anna TX, Frisco TX, Princeton TX, Melissa TX, McKinney TX, and other cities in the DFW area. You don’t have to pay me anything. Just pick your desired location, and I will do the rest. Based on your criteria, you will receive personalized reports with the new construction homes that are available for purchase. With new Construction Homes in some markets there are variety of incentives for buyers may be available. But very often the incentives are not advertised. 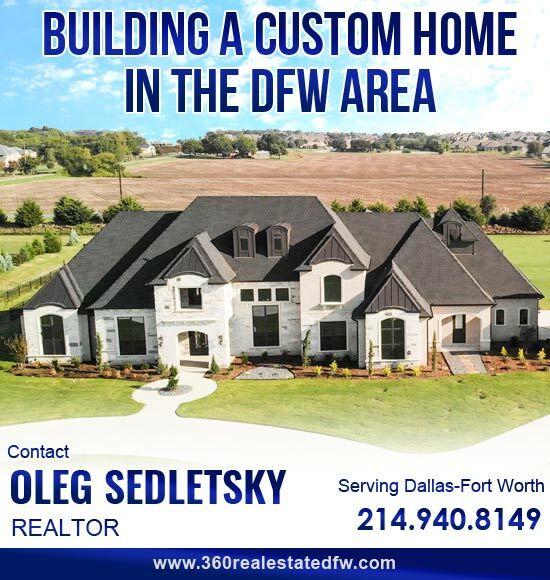 Choose me, Oleg Sedletsky as your buyer agent and I will make sure you get all available incentives when you buy a New Construction Home in the DFW area! Want to build a Custom Home in the Dallas-Fort Worth area? I will help you find the best custom home builder in the DFW! Building a Custom Home in the Dallas-Fort Worth area could be your perfect opportunity to choose the desired location and have the house that reflects your needs and facilitates the enjoyment of owning the property. Be aware that not all builders are the same! With my knowledge of the custom home building process, I will communicate with the builder on your behalf with your interests in mind. 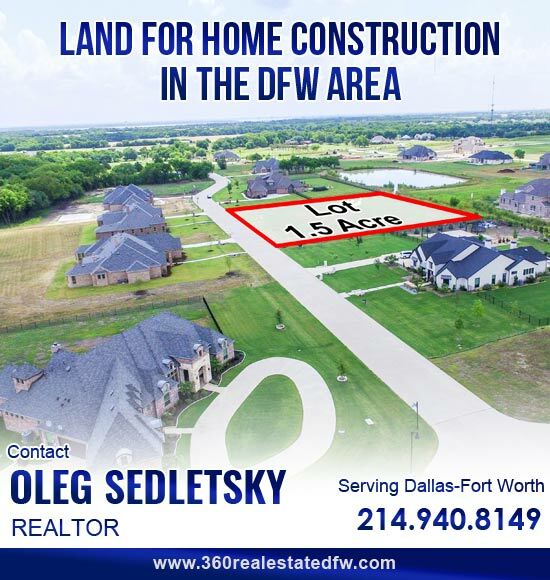 Want to purchase LAND in the Dallas-Fort Worth area? Land is an exceptional property class that opens doors to a personal vision. It’s relatively easy to show a carpenter a workshop full of every tool imaginable and see their eyes light up. However, it’s a more significant challenge to help a buyer or seller to realize the potential in an empty piece of land. Let me help you create your vision in the Allen, Frisco, McKinney, Plano, Prosper, Celina, Lucas, and Fairview real estate markets. When purchasing a Land/Lot it is imperative to understand local zoning and land use restrictions. 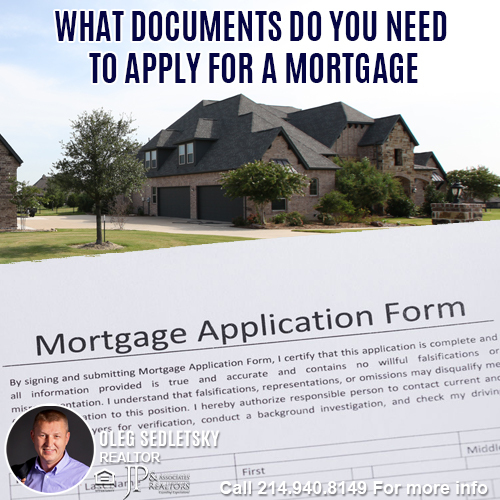 Call or email me to start a discussion about your plans. Or, fill out quick form to tell me your property interest types and give me an overview of your needs.